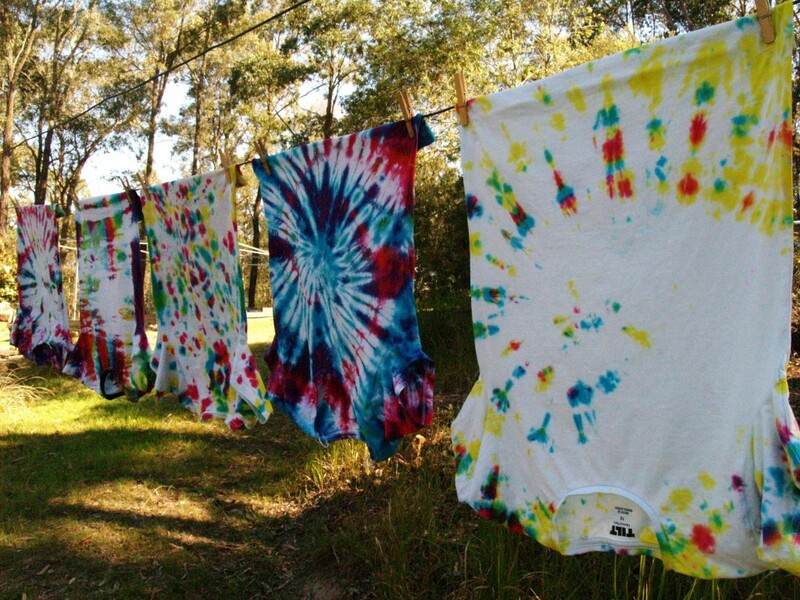 Tie-dyeing is a great school holiday activity to do with the kids. I was given a couple of kits years ago which were so easy to use. Once they were finished with I thought I’d just buy all the ingredients myself to make it a lot cheaper. Our first experiment was a mini disaster as I forgot to soak the shirts in soda ash solution first, so we ended up with pastel designs. The kids were still happy but I wasn’t going to make that mistake again. I ordered my supplies from Batik Oetoro. I got 50g tubs of powdered dye in the primary colours and a big bag of soda ash, so I’m set for a while now. This time we got it right and everyone was extremely pleased with the results.